Two awards for the two best student posters will be awarded in honour of Martin J. Aitken. The applicants must be currently registered students, should be registered at the conference and be present at the poster session to answer questions. 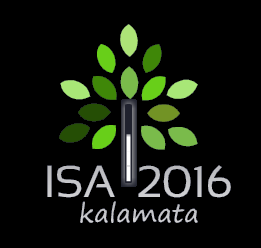 Students will also be required to submit a PDF version of their poster by May 1, 2016 to isa2016@uop.gr, stating “Martin Aitken Award” in the title. The file size cannot exceed 5 MB. The award consists of 150 €. A number of student grants will be available. The selected students will be offered free accommodation during the Symposium and their registration fee will be wavered. To apply for the student grant please send the following documents to isa2016@uop.gr, stating “Student grant application” in the title: a short CV, a personal statement (maximum 300 words) and a reference letter. Two awards dedicated to the memory of K. Polikreti will be awarded. All young researchers, ideally bellow the age of 40, activated mainly in the field of marble and stone provenance studies, who have either oral or poster presentations, will be eligible for the award. THE SELECTION AND final decision will be made BY the Organizing Committee. The Historical Metallurgy Society (HMS) (www.hist-met.org<http://www.hist-met.org>) is an international forum for the exchange of information and research in archaeological and historical metallurgy. Members receive the journal Historical Metallurgy and the newsletter The Crucible, discounted rates for events and small grants. HMS is pleased to offer a HMS Prize for the Best Archaeometallurgy Student Poster presented at ISA2016, which will consist of a diploma, a free one-year subscription to HMS and a financial reward. All posters submitted to the 'Metals and metallurgical ceramics' session with a student as lead author/presenter will be automatically considered for this award. The judging panel, made up of members of the HMS Council and the ISA International Scientific Committee, will base their decision on the combined merits of the originality, rigour and significance of the research presented, as well as the design of the poster and the student interaction with those visiting their poster.